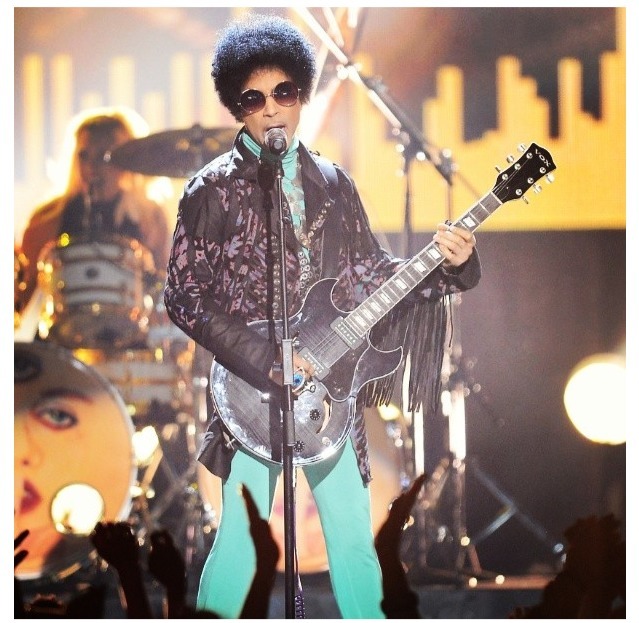 Last night it was on and popping in Las Vegas at the 2013 Billboard Music Awards. Entertainers from all different genres came together to celebrate the best selling artists in music. There were so many performances. Bruno Mars opened the show with a performance of his latest single “Treasure.” Justin Bieber, Will.I.Am, Akon, Pitbull, Christina Aguilera, Jennifer Lopez, Selena Gomez, Taylor Swift, Macklemore and Ryan Lewis all took the stage last night and gave great performances. However, it was the performances from Miguel, Prince, Chris Brown and Nicki Minaj that had everyone buzzing. Miguel maybe had the most memorable and shocking performance of the night. He took the stage to sing his chart topping single “Adorn,” and things were going just fine until Miguel decided to jump over the crowd and ended up landing on a girls head in the audience. Ouch! Sidenote: Nicki won the first award of the night for “Best Rap Artist.” She was up against Psy, Pitbull, Flo Rida, and her Young Money label mate Drake. Good day! I simply wish to give an enormous thumbs up for the nice data you may have here on this post.